CMS Customisation that really matters! Simply, this is Content Management System. Broadly, it works like Microsoft Word. You can manage your web contents easily in short amount of time. Seriously, you feel CMS customisation is a simple thing when you will get support from us. Finally, you will say CMS made simple with a happy face. If you are capable to customize a CMS smartly, then you will get complete control on your websites. Nowadays, small, medium and big sized corporate houses can get websites built on various CMS platforms. CMS customisation helps companies get the best of both worlds - a website with custom design and all the backend goodies of a popular CMS application. We know you are in hurry. Though give your two minutes to read this article. 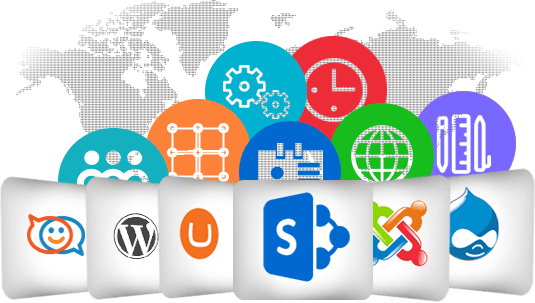 A lot of Content Management System is available in the market. Some are open source and some are paid. Open source community always rich rather than the paid CMS. We are not going to mention specifically which you are going to pick to manage your website. However, If you ask us- Which one you will choose? We definitely will go with open source. Would you like to know why? Yeah! We have a logic here. Each time you will find a better solution because there are a huge amount of developers work with open source scripts like us. Are you planning to take advantage of the latest open source CMS, such as WordPress, Joomla!, OpenCart or any other to develop your website that you can manage yourself? We can help. We love to work with open source CMS because open source matters to us. There is a large number of web programming companies are available to assist on your demand. We are going to show you few top reasons to choose us for CMS Customization or build a lightweight CMS. Our specialties will meet fully for your content management system solutions. Your life will be easy when we will make CMS simple for you. Cheers! Would like to discuss your CMS customization? Feel free to contact us.